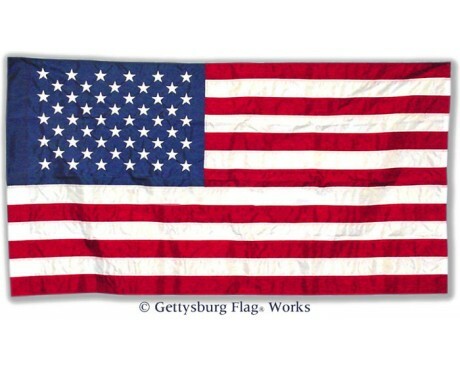 An American flag with a sleeve for mounting is sometimes called an American flag banner. Depending on the size, it may have other names too, but the common feature is a sleeve for displaying it. 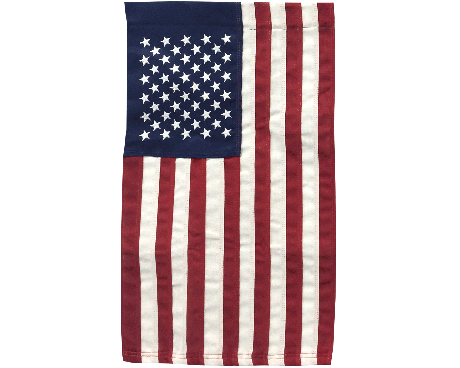 This sleeve allows the American flag banner to slide onto a pole similarly to how you might hand your curtains on a curtain rod. 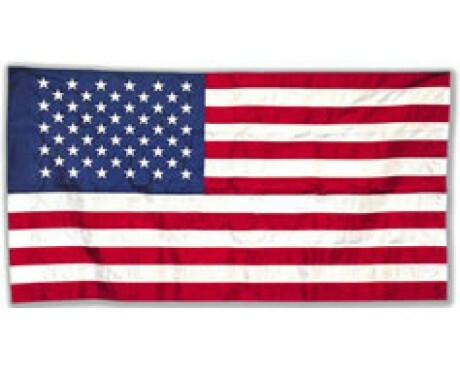 The most common sizes for American Flag Banners is either a garden flag or a house banner. Garden flags range in size from 10x15 inches to 12x18 inches and are typically mounted on a garden flag stand which has legs that push into the dirt and can be displayed in a garden or anywhere there’s firm ground to hold it in place. A house banner is typically 2 feet by 3 feet or 30x48 inches although they come as large as 3x5 feet. You would need a 5’ pole for the 2 smaller sizes or a 6’ long flagpole for the 3x5’ flag.